According to ESG research, 72% of organizations believe that security operations are more difficult now than they were two years earlier. This stems from security and IT operations teams lacking a reliable way to assess the current state of endpoints across their enterprise and leads to an increased risk of breaches, an inability to make informed remediation decisions, and unnecessary spending on infrastructure maintenance. 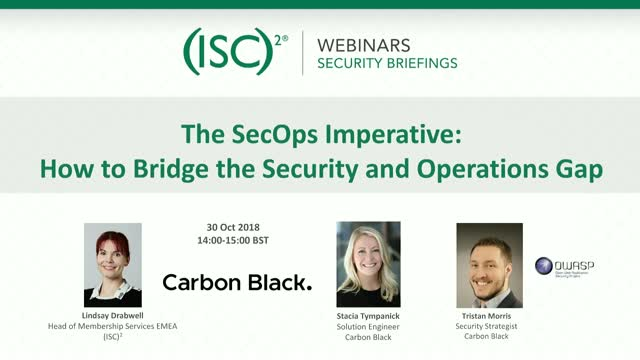 On this webinar we look at the current need to bridge the gap between Security and IT Operations with shared toolsets and shared goals, why IT hygiene and proactive vulnerability assessments are now vital aspects of any successful endpoint security program and how to leverage real-time query and remediation tools to better understand the state of endpoints.